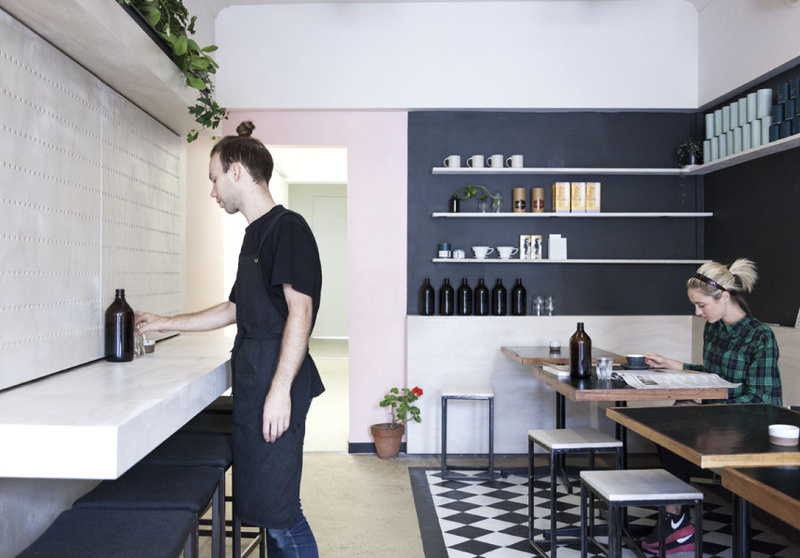 Less than a week after the closure of their Thornbury cafe, Lowlands, Oliver Mckay and Chrissie Trabucco have opened Espresso at Assembly, a new espresso bar beside their existing coffee and tea shop in Carlton. 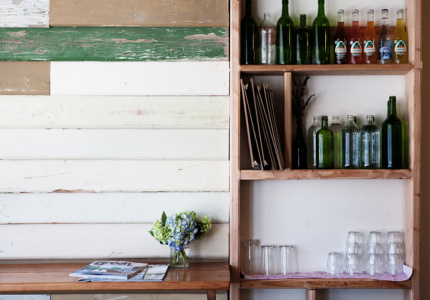 It’s been a big week for cafe operators Oliver Mckay and Chrissie Trabucco. Last week, sadly, they closed down their Thornbury cafe, Lowlands and have now shifted their focus to a new cafe venture – Espresso at Assembly. 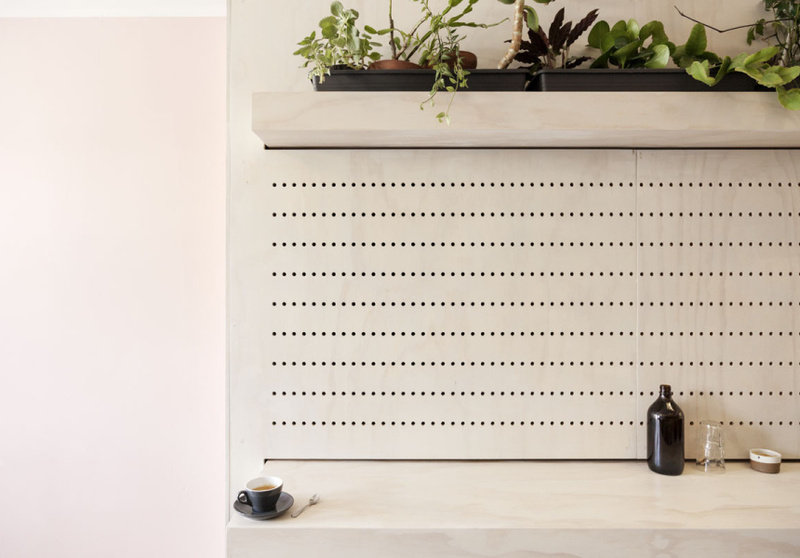 In March 2013, the duo opened Assembly, a gallery-like store specialising in filter coffee, tea and brewing equipment off Lygon Street in Carlton. Then, during what Trabucco describes as the “long process of negotiation” prior to Lowlands’ final days, they were able to secure the building next door to Assembly. This narrow space has become Espresso at Assembly, a brewed-coffee counterpart to Assembly’s filter and tea offering. Trabucco says that so far “the response has been really good”. Some of the loyal clientele from Lowlands have already travelled in to show their support. “It’s been a bit surreal, welcoming people from that existing environment into the new space,” she confesses. 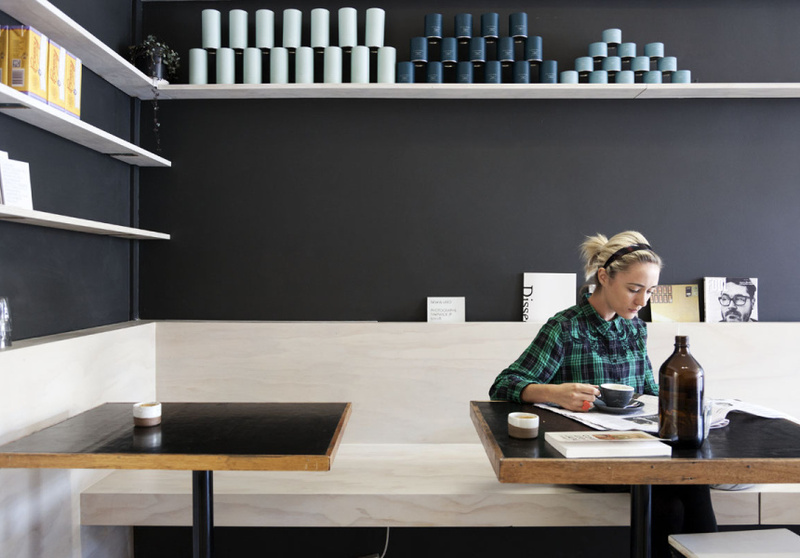 Although small, Espresso at Assembly is airy and fresh-fairy-floss and gun-metal-grey concrete walls are lined with rows of Assembly’s take-home coffee, and a single shelf of pot plants add a splash of green to the otherwise bare space. There are tables inside and out the front, and a hole in the wall if you’re after a takeaway. No blends are available here, only considered single-estate beans. It’s also not quite a lunch destination, there’s just a small selection of pastries on offer. Trabucco is aware that although some customers are interested in being informed about their beans, others just want to sit and enjoy a coffee in peace. Now, with Espresso at Assembly, both bases are covered. While the new space is somewhere customers can read or meet friends, the original Assembly “is going to become even more dedicated to the educational side of things,” she explains, with tea tastings and expert talks planned.